Hang the large two-sided symbol above a table or work area. Use the identical small symbols to label each end of a storage container. 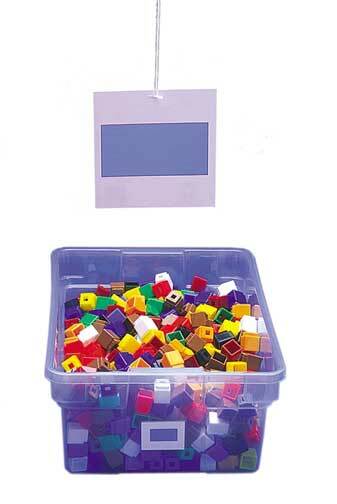 Students distribute materials quickly by matching the container symbol to the hanging symbol. There are ten different shapes and colors. Set includes 10 large symbols and 20 small matching symbols.